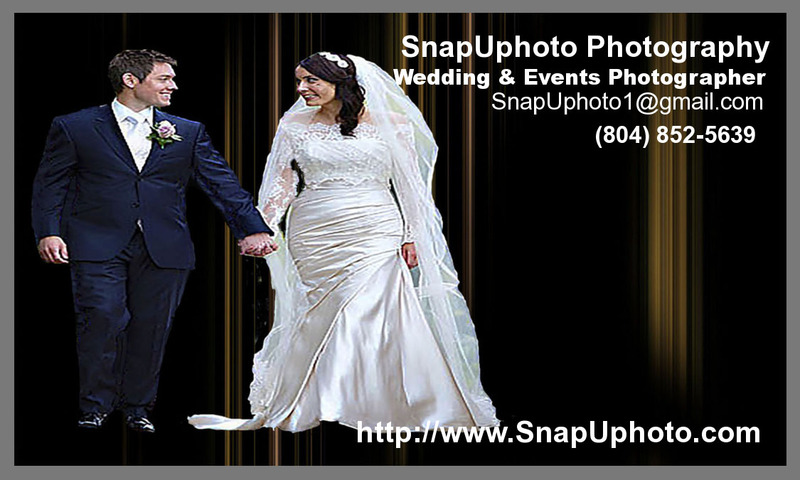 SnapUphoto is a Richmond Base Wedding Company specializing in Wedding, Parties, and any Special Occasion. I have been doing Professional Wedding Photography since 2000. I am a certified Wedding Photographer.I would love to talk with you on your special occasion, and show you how I can make that occasion a memorable one.